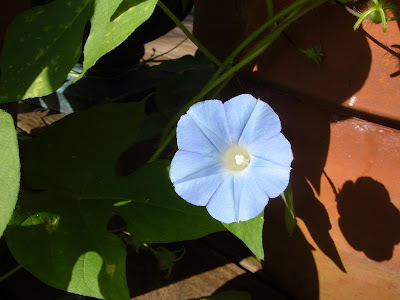 Angels for You: Morning Glory! A volunteer, it had sprung up from underneath the patio deck. 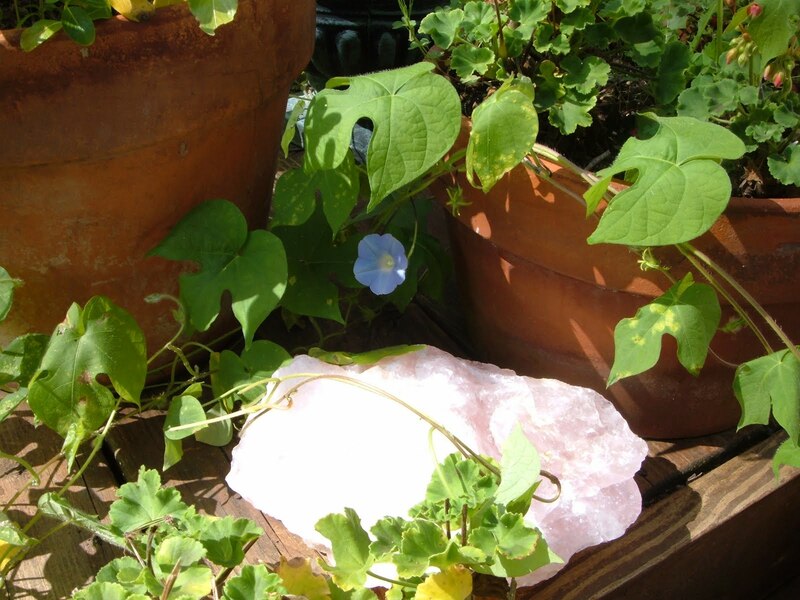 Maybe the rose quartz I put outside in the sunshine gave it a burst. The beautiful blue trumpet flower reminded me of an angel message heralding in a time of unexpected joy. Morning glories are flower messengers that encourage breaking down of old hard set habits. Old ways of doing things will no longer work. Now fresh life forces and spontaneity are key. The heart shape leaves stirs our own heart to be more spontaneous, and to draw on our own inner resources. God smiles in flowers. His beautiful floral apostles that bring joy and sunshine.